Soprano Martha Elliott has enjoyed a varied career of performing, teaching and writing. Known for her clear voice, impeccable musicianship and dynamic stage presence, she has sung repertoire from the Baroque to the contemporary avant-garde. 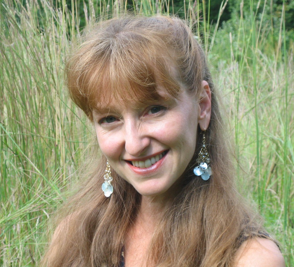 Her research interests range from historical performance practice to menopause to mindfulness. Thanks so much for visiting my web site. I’m ever so grateful to my friend James for helping me redesign and migrate all the data. 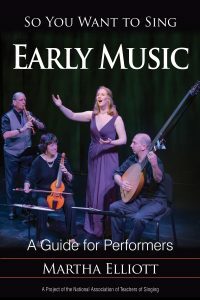 My new book So You Want to Sing Early Music is finally here! See the news page for more information on where to get it. The Poster Paper from NATS Chicago with some of the results of the Singing Through Menopause Survey is now available on the writing page. The full article was published in the January 2017 issue of the Journal of Singing and is also now available on the writing page.